It has long been known that one of the easiest ways to lose weight is to reduce the number of consumed calories. According to experts, the average level of carbohydrate intake is 4.6 ounces (130 grams) per day, which amounts to approximately 500 kcal. So, to stay in shape, all you need is just to stay within this limit! However, some people can eat as many cakes as they want without gaining a pound, and others get fuller at the waist almost instantly after indulging themselves in one cookie. As it turns out, it's all about the metabolic rate! 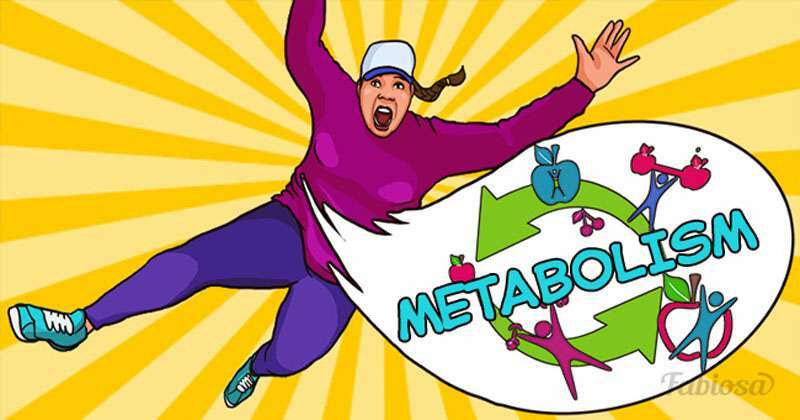 Metabolism (or metabolic rate) is a complex process of converting calories of food into energy in order to maintain life. It begins with digestion and physical activity, and ends with breathing during sleep. But how does one learn the metabolic rate without expensive examinations? Now, there is a simple cracker test for this! According to the author of the cracker test, geneticist Sharon Moalem, he invented the easiest way to discover how well your body digests carbohydrates. You can find more details about this method in his book The DNA Restart: Unlock Your Personal Genetic Code to Eat for Your Genes, Lose Weight, and Reverse Aging. After spending only 30 seconds, you will find out how much and how fast you should eat depending on your genetics. Almost nothing! An unsalted cracker and a stopwatch - and you can determine your metabolic rate anywhere! Fill your mouth with as much saliva as possible. Put a cracker into your mouth, note the time and start chewing. Chew until the cookie begins to taste sweeter. If the cracker's flavor doesn’t change after 30 seconds of chewing, then stop the test. more than 30 seconds – slow metabolism. According to Dr. Moalem, human saliva contains amylase, which breaks down the complex molecules of starch into smaller molecules of sugar (at this point, the cracker's taste changes to sweet). In some people, the concentration of this enzyme can be much higher or lower than normal. Did the cookie change its taste in less than 14 seconds? Congratulations! You can eat more carbohydrates than the norm (130 g per day) without gaining weight. If the cracker became sweeter after 30 seconds or more, it indicates a low concentration of this enzyme in your body. Therefore, you might want to go easy on carbs, otherwise, you are almost guaranteed to end up with excess weight. Is it possible to speed up the “slow” metabolism? It is impossible to speed up the metabolic rate with magic fat burning pills or special foods! The only way to boost the metabolism is by combining regular moderate exercising with an increase in caloric intake by 15-20% and a revision of your nutrition. Forget about diets if you want to lose weight properly! In fact, a high metabolic rate is always accompanied by an increase in appetite and muscle mass. And this, in turn, yields weight loss in the long run. Please, share this useful information with your friends. 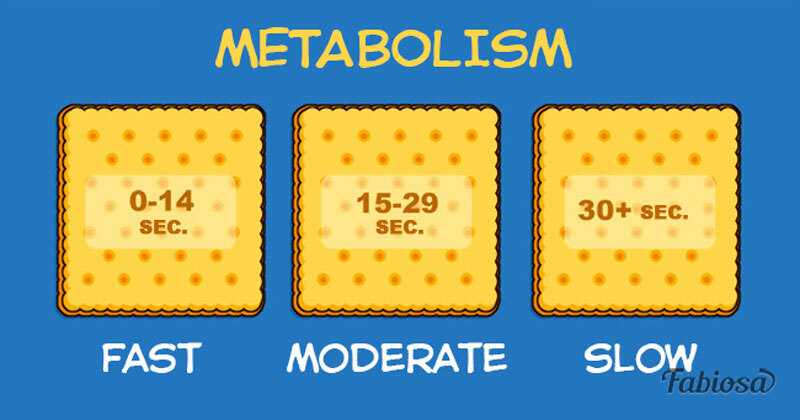 Stock up with crackers and conduct this simple test to determine your metabolic rate. And then you can have a cup of tea!